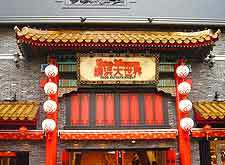 Yokohama is home to an impressive number of small museums, which focus on a range of topics. Many of them present the maritime history of the city, while others devote themselves to silk production, dolls, art and the large Chinese community, which has lived in Yokohama since the earliest days. 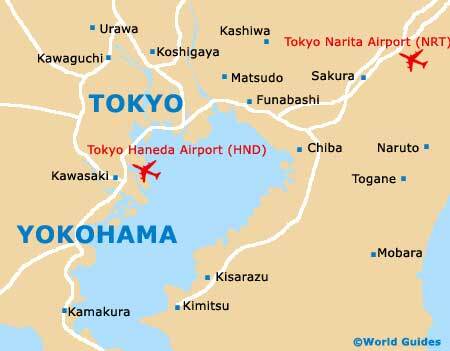 Nearby Tokyo is better equipped, but the majority of visitors will likely find something here of interest. Yokohama's most noteworthy museums are displayed below. In a tribute to its large Chinese community, this eight-storey building provides a fascinating look at Shanghai during the 1920s. The interior of the Yokohama China Museum has been perfectly recreated with authentic street scenes, traditional craftsmen doing their thing, and several styles of cultural performances. There is also a massive food court serving up the best cuisine from all around China. Silk has always been one of Japan's most popular exports, and much of it was shipped from Yokohama's port. The Silk Museum does an excellent job presenting the role and process of silk making in this city's history. Beautiful silk fabrics and clothing from Japanese history are also on display. Best of all, it's done in English. If you visit between April and October, you can watch live cocoons and silkworms working their magic. If you are a fan of dolls, then you will surely find this museum worth a visit. 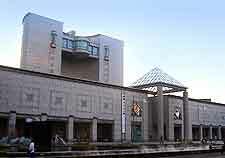 With around 10,000 dolls from almost 140 different countries, the Yokohama Doll Museum is home to one of the most extensive collections of its kind in the whole world. Antique creations from famous doll makers can be found alongside a nice exhibit of dolls from different global cultures, dressed in their native clothes. Japanese folk dolls, including those sold at temples and shrines, fill the upstairs floor. 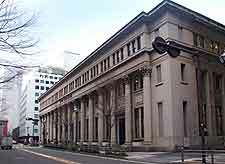 This informative centre presents the history of Yokohama as a port city. The exhibitions within the Maritime Museum start with Perry's 'Black Ships', which arrived in the late 1880s, and continues with the evolution of Japanese shipbuilding up to modern times. Next door, the lovely 1930s sailing ship Nippon-Maru is moored and open for guided tours.